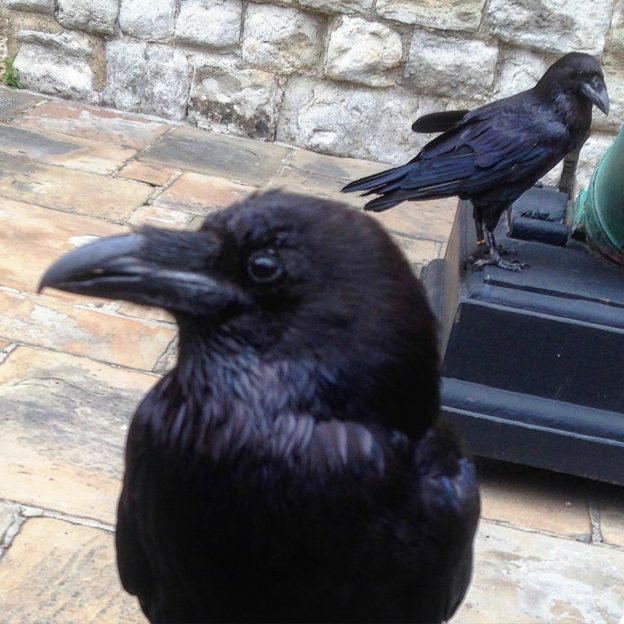 Just about everyone knows the legend of the Tower of London ravens; that should they leave the fortress then it and, by extension, the entire kingdom, will fall. Even earlier, the ravens were said to be present at the execution of Anne Boleyn, falling silent on the battlements of the Tower as if knowing the momentousness of a queen’s execution. The only small problem is – well, all the legends are nonsense, at best late Victorian inventions, at worst cooked up by some imaginative Yeoman Warders some time after WW2. Because the earliest mention of Tower ravens comes from 1895 (the RSPCA Journal reporting that the Tower’s pet cat was being tormented by the birds). There are a couple of earlier illustrations of ravens at the Tower, both from 1883, but that’s it. (We’re indebted to an American called Boria Sax for researching the history of the the ravens in his book City of Ravens.) There aren no prior references to any legend or to any history of their residence; no historical records; no medieval Ravenmaster* entrusted with their care. Even H V Morton’s 1951 classic In Search of London makes no reference to the legend and implies that – although there had been ravens between the wars – the six post-WW2 birds were all replacements for the inhabitants killed during the conflict. This squares with a blunt statement quoted in Sax’s book: “they are all gone”. So it’s not either an old legend or even an accurate one, as both the Tower and the country have withstood zero-raven situations in the past. And the Ravenmaster looks after them. They get various bits of meat, biscuits soaked in blood, the occasional bit of roadkill, fruit and vegetables, and bits of cheese. Ravens are scavengers (in medieval times they were common throughout the city) and so are known for also nicking food off Tower visitors. And if they turn up their toes on active service they’re buried in the Tower moat (have a look down to your right as you exit by the river gate), otherwise they’re pensioned off to a farm in Wales. Burnished now by generations of warders and guides, the myth of the ravens’ importance will withstand any amount of dispelling, so if you visit the Tower it may be wise to suppress your critical faculties and just go with the flow. This entry was posted in The Blog and tagged tower of london on 04/02/2018 by donbrown.